Thermal changes in ferroelectrics can be driven using electric fields and stress fields to modify conjugate order parameters. The resulting electrocaloric and mechanocaloric effects are large near ferroelectric phase transitions, and have been proposed for environmentally friendly cooling applications. 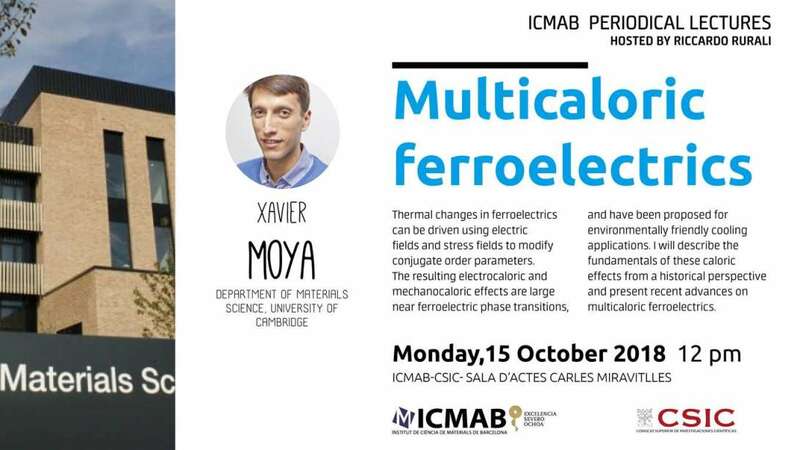 I will describe the fundamentals of these caloric effects from a historical perspective and present recent advances on multicaloric ferroelectrics. Quins seran els materials del futur? Amb quines eines es dissenyen i s'estudien?